Music in the Atrium, Florham Park is sponsored by the Jeffrey Frank Wacks Memorial Fund in conjunction with Summit Medical Group Foundation MD Anderson Cancer Center. 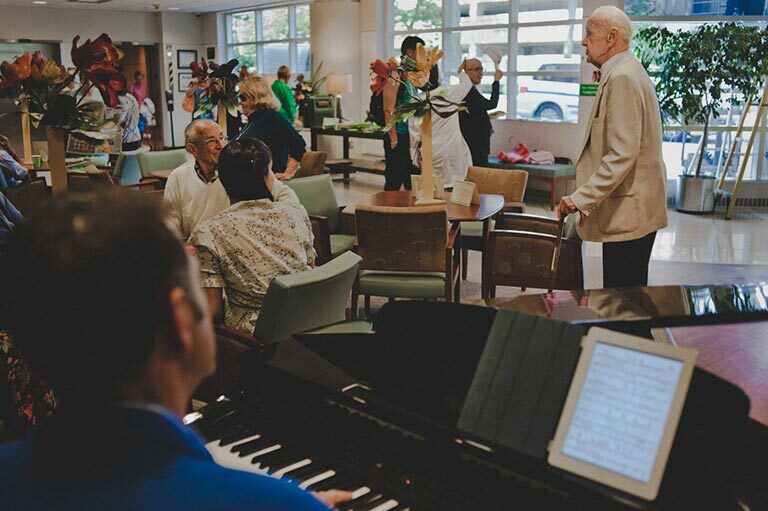 Bob Egan is at the keyboard and many familiar faces are there to welcome patients, offer a snack and share a friendly smile and words of encouragement to our visitors. Please join Bob Egan and the volunteers in the Lobby of the Carol G. Simon Cancer Center on the first three Wednesdays of each month. During November and December the schedule changes to accommodate the holidays. 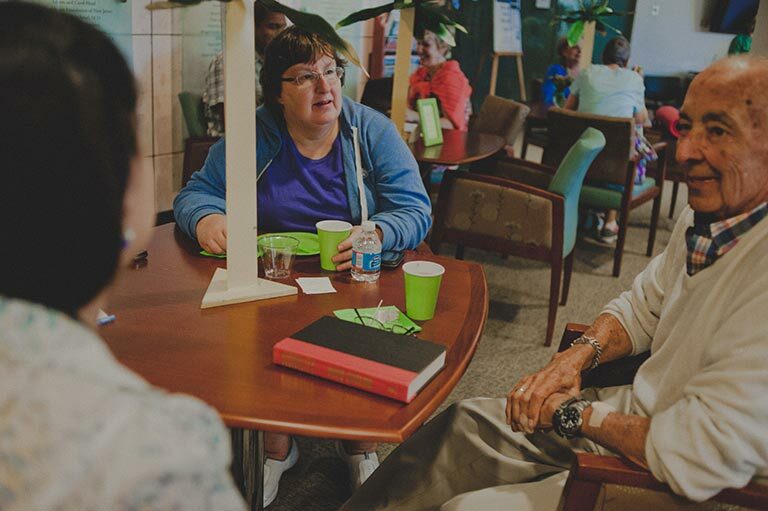 Once a month on a Monday morning, patients and visitors are invited to have tea in the lobby of the Carol G. Simon Cancer Center. A harpist serenades them while they drink tea, eat a scone or sandwich, and chat with the volunteers. The atmosphere speaks not of cancer, tests, scans, or anxiety, but of raised spirits, gentle music, and uplifted souls. This is a joint venture between the Jeffrey F. Wacks Music Therapy Program and the Carol G. Simon Cancer Center. This African drumming workshop is open to the community. Drums are provided and no musical experience is necessary. This free workshop is interactive and fun for all ages. Most Tuesday and Friday mornings, please contact us for details (see below). Join us Tuesday mornings for an amazing jazz duo featuring Steve Minzer on piano and Vince Maiolo on bass. On Friday mornings the beautiful sounds of John Heinneck, guitarist, fill our lobby.